These are strange and uncertain times. First Brexit. Now Donald J. Trump. A sleepless night was spent recently watching the improbable become reality. It was early projections from Florida – a ‘must win’ for ‘The Donald’ – which set alarm-bells ringing. At election time, the Sunshine State has an uncanny knack of often leaving a bitter aftertaste. Seeking a brief respite from the impending result, I turned to my recent tasting notes. 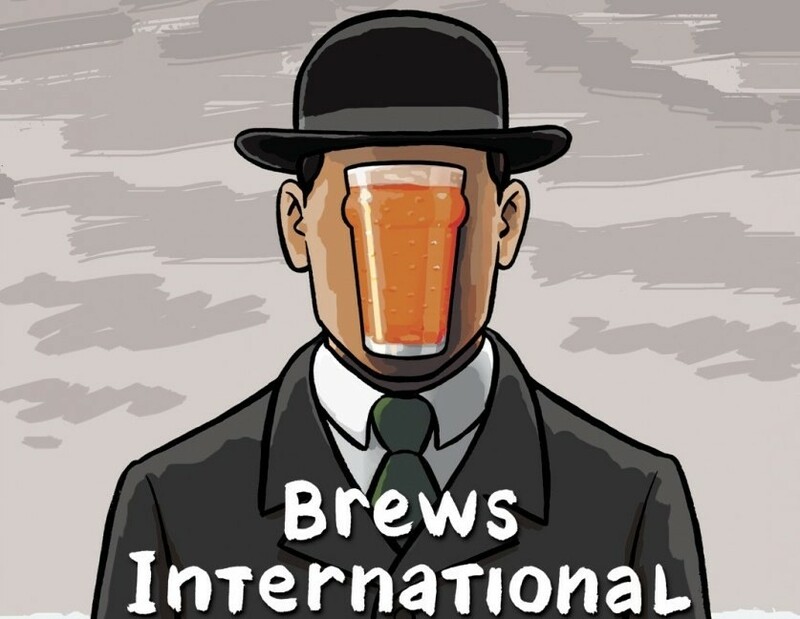 As it happens there’s many a beer on which I have notes taken but have not gotten around to blogging about. 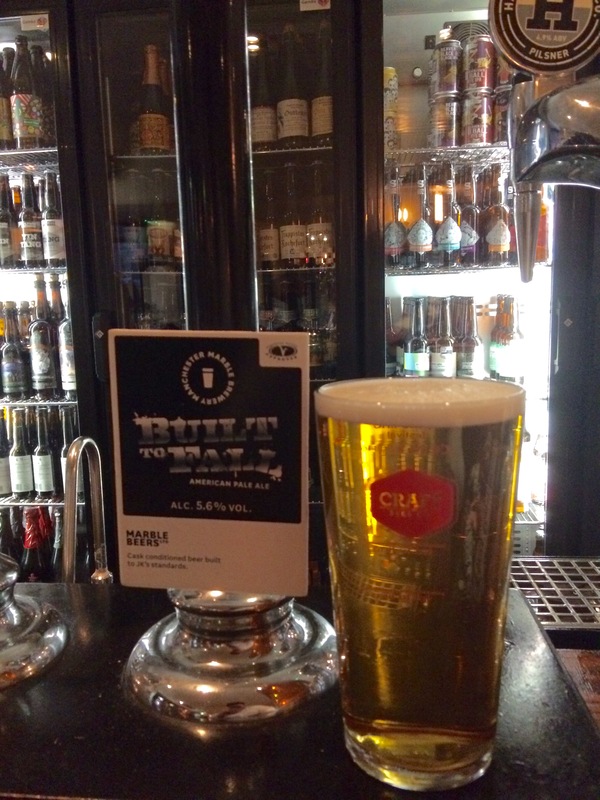 Marble Brewing’s Built to Fall is one such beer. 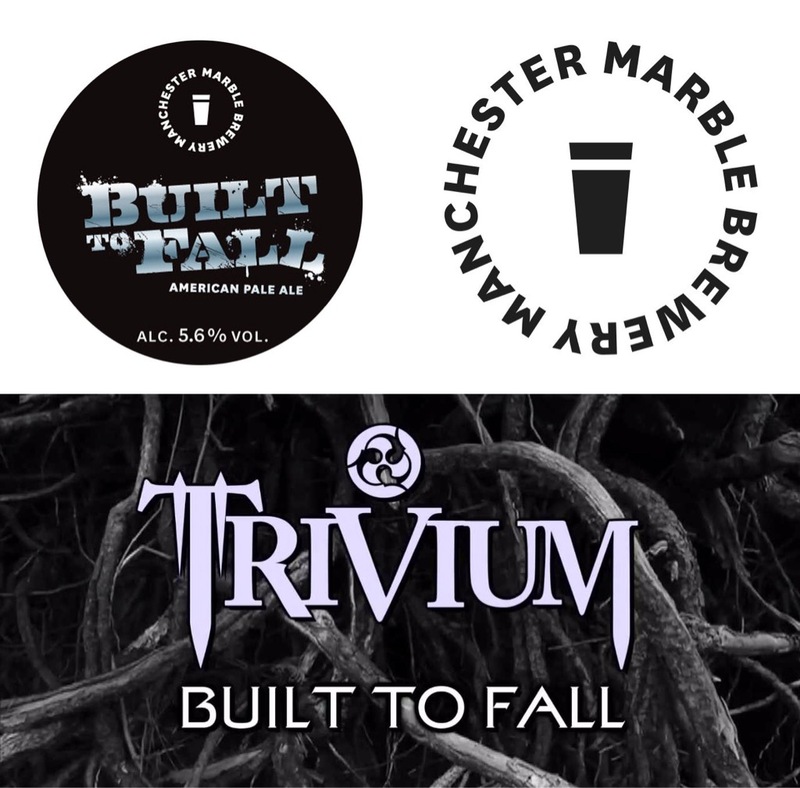 Brewed in Manchester, this 5.6% abv American pale ale is part of the brewery’s ‘metal’ series and is named after a song by Trivium, a heavy metal band from Orlando. So it was a case of bitter + Florida + result = new blog post. The beer itself pours golden with hints of orange and it has a head that can I can best describe as the aftermath of an explosion in a candy-floss factory. Coincidentally, all of this could also be used to describe the president-elect. There is plenty of zesty and citrusy tropical fruit on the nose. It drinks smooth with a refreshing creaminess; flavours of mango predominate with a dash of pine thrown in for good measure. There is also just the right amount of bitterness in the finish. Forget my over-worked political analogies for a second. This is an IPA named for a heavy metal band. IPA doesn’t automatically mean metal. Think Mmmhops by Hanson. Anyway, surely beers for moshers and thrashers should be closer to the darker and heavier side? Iron Maiden has followed up on the phenomenal success with Trooper by releasing a first stout, Red & Black. Built to Fall has been delicately and deftly crafted by the brewer. It’s fresh and bitter but not overpowering and its sole connection to head-banging is perhaps only through imbibing one too many. Or is it? I’ve learnt from a music geek (so says this beer nerd) that Trivium have toned down their more extreme edges and become more radio-friendly via slicker production. Given that, this beer sounds like it’s not wide of the mark at all. As for US politics, we don’t know what’s going to happen over the next four years. But let’s hope that the beer produced over this period continues to be amazing, tremendous, huge, terrific and most bigly of all, great again. And that if a wall is constructed along that country’s southern border; it too finds inspiration in Trivium’s oeuvre and Marble Brewing’s beer and is built to fall.